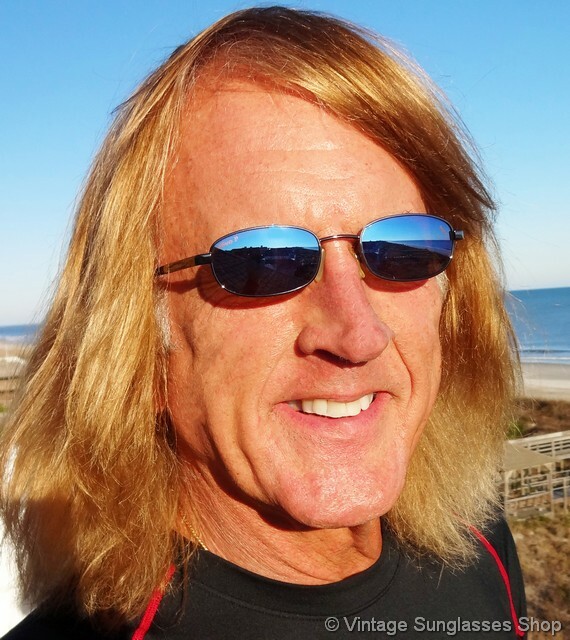 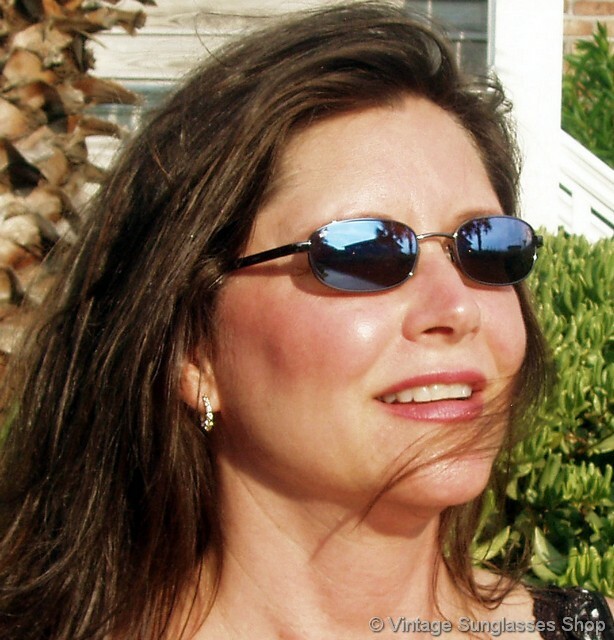 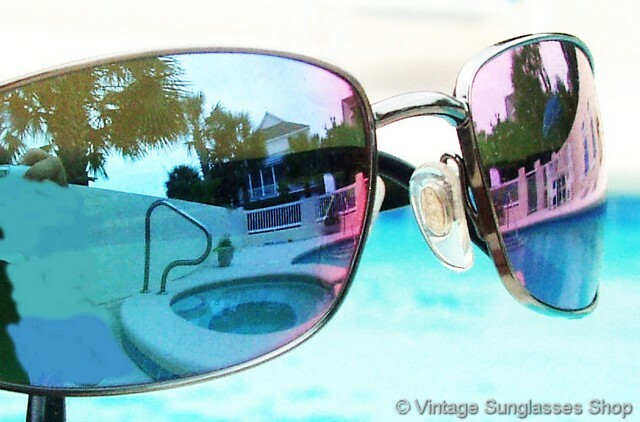 1 Vintage Revo 3041 080 sunglasses feature a sleek, stylish chrome frame coupled with highly reflective Revo P H20 stealth mirror lenses that will also pick up hues of red and purple out in the sunlight. 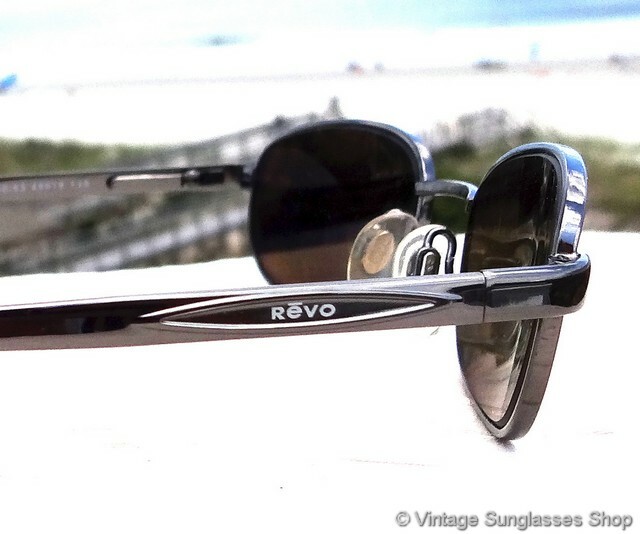 The Revo 3041 frame has a thin profile design, and note how the Revo logo is set in a geometric depression in the chrome ear stem that really gives it a clean and elegant look. 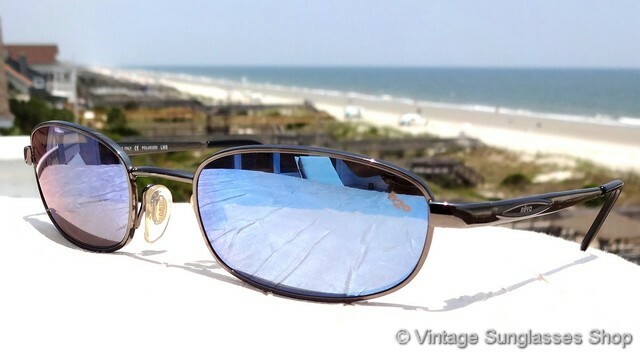 The unisex Revo 3041 frame measures approximately 5.0" temple to temple and the stealth mirror h20 polarized lenses measure approximately 2.0" x 1.0" at the widest points with right lens laser etched Revo P and the other laser etched H20 to indicate Revo's advanced optical polarization. 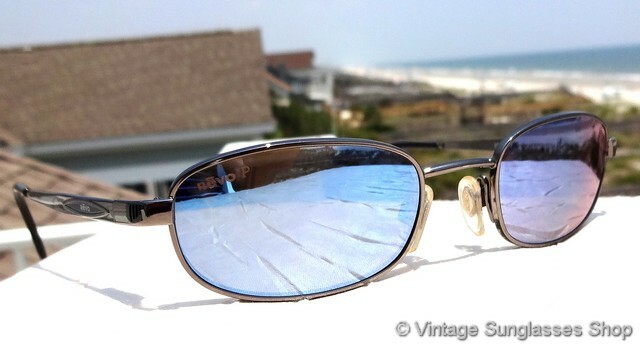 You'll find the Revo logo impressed in the metal on the exterior of both chrome plated ear stems, and the inside of one ear stem is marked Revo Made in Italy CE Polarized LMS and the other is marked 3041 080/63 48  19 135, part of a great collection of vintage Revo sunglasses in Malibu, CA. 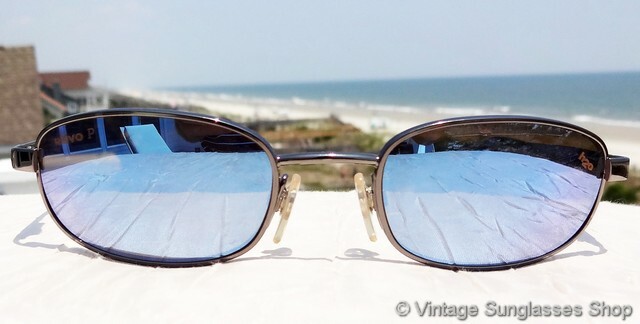 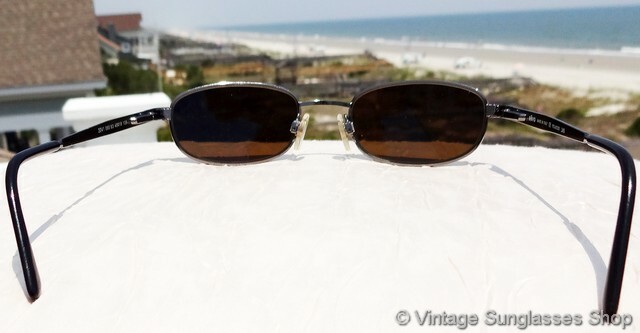 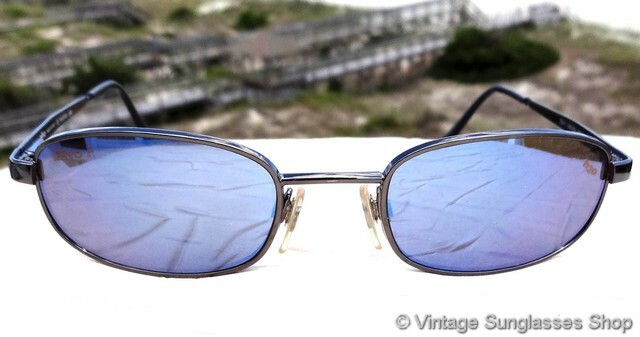 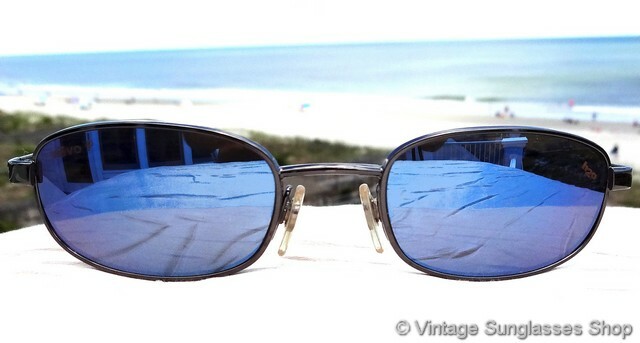 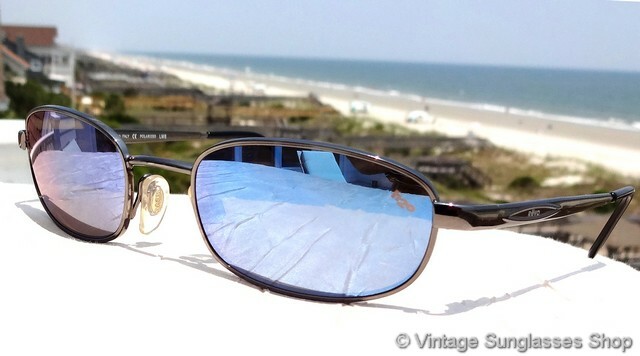 2 Step up another level beyond our already unequaled vintage condition standards with new old stock Revo 3041 080 stealth mirror h20 sunglasses in mint, unworn condition.